REGISTER HERE for our Inaugural Texas Autism Academy Scholarship Gala. Thank You Vintage Car Rally Association! ASD Hope, Inc. and Texas Autism Academy are the proud recipients of a very generous donation made to us by Vintage Car Rally Association, VCRA, an Oklahoma based nonprofit. 1. To provide a unique forum for antique, vintage, classic and sports car enthusiasts to compete in controlled speed/ timed / distance rally competition that would test the skills and endurance of both man and machine, classed by the experience levels of the competitors and the age of the vehicles, to assure a level playing field for all. To be a not for profit 501 C 3 organization that will donate all proceeds to charity, namely Autism organizations, schools and chapters in need. One of Vintage Car Rally Association founders, Mr. and Mrs. Rex Gardner, had a personal experience with Autism. Their grandson Justyce, was diagnosed with ASD in 2000 at the age of 29 months. Mr. and Mrs. Gardner have witnessed the challenges a family faces when raising a child with Autism, and wanted to help make a difference. So, in September of 2006, VCRA launched their inaugural event, The Mid-America All Star Rally & Benefit for Autism, held in Grove, Oklahoma. 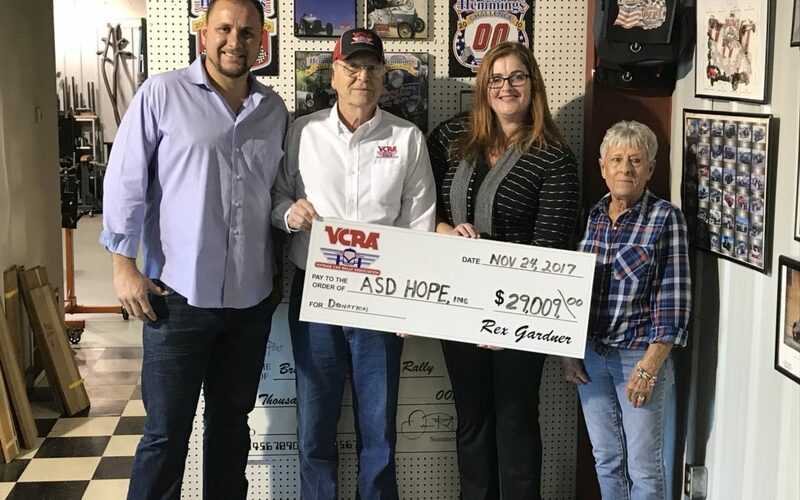 Since then, Vintage Car Rally Association has donated hundreds of thousands of dollars to schools and chapters for children with Autism, all over the United States. 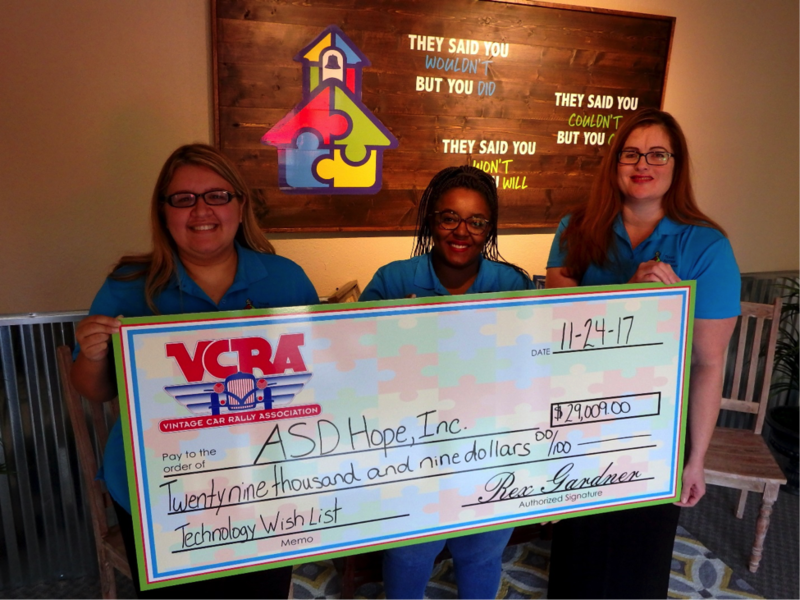 ASD Hope, Inc./Texas Autism Academy could not be more proud, honored, and humbled by Vintage Car Rally Association donation of $29, 009.00, to purchase much needed technology, sensory lab, and other equipment needed for our student’s lifelong success. We are truly grateful for their generosity, for believing in our vision/school model and for their commitment to helping children with Autism succeed.